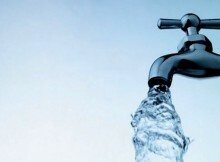 The American Human Rights Council (AHRC) joins all the concerned citizens in the Greater Detroit area in expressing serious concern regarding the shut off of the water services effecting thousands of Detroit residents and families. This shut-down of services effected thousands of needy people including women., elderly, children , handicapped and others with health issues who are in dire need for this basic service. Water, like other basic needs is a basic human right that must be preserved, granted and protected to every person and family. AHRC call for the immediate restoration of this basic human need to all of the Detroit residents. AHRC calls upon all authorities, companies, city and state municipalities and entities of interest or concern to act immediately to alleviate this pressure on people. AHRC calls upon all civil and human rights groups and organizations to join hands demanding a fair, just and amicable resolution. “Depriving people of the water service is a blatant human rights violation” said, imad Hamad AHRC Acting Director. “Water must be restored to all residents. Companies and the authorities must find an amicable solution to this crisis immediately” continued Hamad. There is never a time when we will require the absence of water. Water is a major lifeline of one’s survival. It is a human right. From life’s conception to its end water is the one element that binds all things together. Some may have allowed focusing on the argument that people must pay their water bill, which is only a camouflage of the ugliness the poor endures. The social values of some leaders have failed to recognize people that lead to the impossibility of understanding the basic needs of people. How is then one to be a leader? Getting back to focus is that we have lost our values system when children, babies, mothers, the poor and the ill are subjected to such harsh cruelty. It is also the employed that have such a difficult challenge to make payments. The need to pause and give great thought about outcomes when we no longer value one’s human rights is a critical moment not to act upon as the most basic need of water is no longer included among the value system. To think about what we compound upon people who presently live in desperate situations will not help build communities of strength. Thirsty children, senior citizens and the poor are among the many that faces the ugly realities of life that is impactful on their view of social values. How we treat human beings is the way their behaviors will more than likely designate their value system. It is with strong desire that their outlook on life will create stronger moral s and values as they may represent those who struggle daily to fulfill a basic need. Selecting leaders with identification and the desire to assist our fragile citizens are a requirement that must be set forth and engraved in everyone’s mind as new leaders are selected. When I am thirsty I hope someone has the decency to give me a drink of water. This is how it all begins and should end is with respect, caring and love for your neighbor. What a solution!